Activate the spray pump before use. Bring the spray nozzle up to your mouth and apply two sprays onto tongue. Do not spray into the throat or eyes. 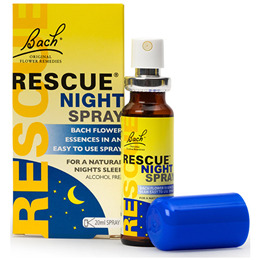 Below are reviews of Bach RESCUE NIGHT Spray - 20ml by bodykind customers. If you have tried this product we'd love to hear what you think so please leave a review.